Eddie Bauer did not have a good fourth quarter of 2008. Reflecting the worsening economy, sales were down 5.7% compared to the forth quarter of 2007. Still, adjusted EBITDA for the full year 2008 was almost $53 million, up over 25% from 2007. As for liquidity, the company ended the year with over $60 million in the bank, zero drawn on its $150 million revolver, and with no principal payments due on its other debt (a $193 million term loan and $75 million in convertible notes) until 2014. What could go wrong? The company’s debt agreements contain covenants limiting certain activities and requiring the company to maintain certain ratios. The most restrictive covenants are in the term loan, which required (as of year-end 2008) senior leverage to be no greater than 5x EBITDA and fixed charge coverage to be at least 0.9x (as well as limiting capital expenditures, dividends, new debt, and new liens). As of December 31, 2008, the company was in compliance with its debt covenants. 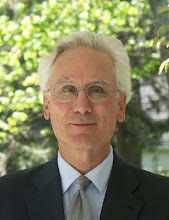 On March 18, 2009, Eddie Bauer announced it is "seeking an amendment to the term loan agreement to provide covenant relief and flexibility to manage through a recessionary economy." The problem is not that the company expects leverage to go above 5x or coverage to go below 0.9x; the problem is that the financial covenants in the term loan agreement step down. As of March 31, 2009, leverage must be at or below 4x, compared to the 5x requirement just 3 months earlier. The coverage requirement also increases, eventually hitting 1.1x in 2012. Why did the company and its banks, led by Goldman Sachs and JP Morgan, include these changing covenant levels in the loan agreement? Setting loan covenant levels is an art not a science. Ideally, covenants should reflect the shared expectations of the borrower and lenders. In the case of Eddie Bauer, the company and its banks clearly expected the retailer to improve cash flow and bring down leverage, and set the leverage and coverage covenants at levels that both sides thought were achievable. When a company's performance is materially worse than both sides expected when they did the deal, there should be a covenant default. What Happens After a Default? Rarely does a covenant breach in a corporate loan agreement result in foreclosure or bankruptcy; usually the borrower and lenders agree on an amendment. The borrower gets looser covenants, but what do the lenders get? It varies, but the amendment can include more collateral for the lenders, higher interest rates, an amendment fee, and additional restrictions on the borrower, all intended to reduce the lenders' risk and increase the return on the loan. So far, Eddie Bauer has not reached agreement with its lenders, but the amendment under discussion includes an 8% amendment fee (with 5% of that deferred until 2014), warrants for almost 20% of the company's stock, and a significantly higher interest rate. Quite a cost for failing to step up! The story may not seem so relevant or interesting today. After all, Bear’s demise was a year ago; Lehman’s was only last September. Bear’s vital organs were saved by transplant into the body of J.P. Morgan; Lehman was allowed to expire in the emergency room. But we think the book will answer questions about Bear that are as urgent and compelling today as they were when the company failed. What brought the Bear down? Was it just arrogance, or did negligence, ignorance, or bad luck play a role? Was it ruthless attacks by short sellers or mainly extreme market conditions? Whatever else contributed, mistakes in liquidity management were important in the company’s downfall. Thanks to the failure of two of its own hedge funds, Bear was painfully aware of problems in the financial markets. It took steps to improve liquidity, increasing cash and unpledged securities from $27.7 billion in November 2007 to $35.2 billion in February 2008. It was too little, too late. By Bear’s own reckoning, those sources of liquidity in February had to cover at least $21.7 billion in potential uses, including maturing unsecured debt, funding commitments, and standby letters of credit. That left only $13.5 billion to cover client withdrawals and secured funding shortfalls. At the time, Bear owed $91.6 billion to clients and had secured short-term debt of $98.3 billion. It would take only a small percentage decline in either of those amounts to exhaust the company’s liquidity reserves, and it did. In the three days starting March 10, Bear went through $12.1 billion in cash alone and was forced to turn to J.P. Morgan and the Federal Reserve for a rescue. Bear failed to anticipate its liquidity needs. 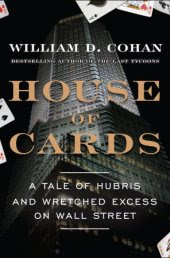 We’ll have to read Mr. Cohan's book to learn if it was through bad management, because of unprecedented illiquidity in the financial markets, or on account of those nasty short sellers. We can’t wait to find out. Wendy's/Arby's Group, Inc. (ticker WEN) was formed in September 2008 through the merger of the Wendy's and Arby's fast food chains. In March 2009, WEN announced it had redone its main loan agreement to reflect the merger. Nothing unusual there. The surprise is that Wendy's/Arby's Group, Inc. is not a party to the loan agreement. Here' why. Wendy's/Arby's Group, Inc. is a holding company ("holdco") - it has over 60 direct and indirect subsidiaries that actually own, franchise, or operate the restaurants (the operating companies, or "opcos"). The opcos have real assets (buildings, inventory, receivables, contracts, etc.) and hopefully generate cash flow from their operations. The holdco's assets are stock in the opcos, and the holdco's primary source of cash is dividends from the opcos. Under the absolute priority rule, a bankrupt company must repay its creditors (i.e. lenders, suppliers, employees, etc.) in full before it can distribute any cash to its owners. So, if WEN and its subsidiaries ever went bankrupt, who would be repaid first: lenders to the holdco (i.e. Wendy's/Arby's Group, Inc.) or lenders to the opcos (i.e. the 60 subsidiaries)? Answer: the opcos, since they have the assets and cash flow and must repay their creditors before paying dividends to the holdco. Lenders to high risk companies (such as WEN) often prefer to lend to operating subsidiaries rather than to a parent company. Loans to holdcos often include a subsidiary debt limitation and upstream guarantees in order to limit the impact of structural subordination. The rating agencies typically rate the debt of a holdco lower than the debt of its operating subsidiaries. For example, Standard and Poor's rates Wendy's/Arby's Group, Inc. "B-" but assigned the slightly higher "B" to the loans of its subsidiaries. See also our entries on contractual subordination and effective subordination. What do Whirlpool, Fiat, Sony, and Heinekin have in common? All took major restructuring charges recently, driving down profits that already were under pressure from the global economic slowdown. As the recession lasts longer and spreads farther, we'll see many more companies taking big restructuring charges. What are restructuring charges and how do they affect the company's operating results and financial condition? This video gives a quick answer. How do restructuring charges affect credit risk analysis? At the technical level, they complicate things by prompting us to make adjustments to important profitability, coverage, and leverage measures. At the fundamental level, they signal problems with unsustainable operating costs or overstated asset values or both.